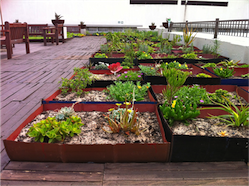 The rooftop has 43 different water-wise succulent species and counting. By definition, succulents are described as plants which are adapted to store water in their leaves, branches or stem bases in order to be able to survive long periods without water. Southern Africa is one of the most succulent rich areas in the world. 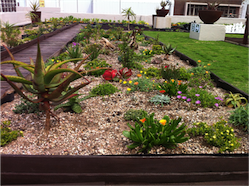 Of the world's approximately 10,000 succulent species, nearly half originate from Southern Africa.